The complexity in clinical needs, payment, and care delivery models are constantly transforming the healthcare industry. In this scenario, the stakeholders demand an approach that can enhance clinical outcomes at lower costs of care. To thrive in this new environment and improve overall population health, the solution providers and payers have set their sights on Population Health Management (PHM) systems. 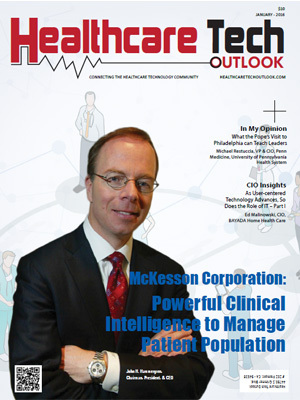 Population Health Management (PHM) is the congregation of patient information across numerous healthcare information technology resources, the analysis of that data into a single, actionable patient record, and actions through which healthcare providers can enhance clinical as well as financial results. Typically, PHM programs use business intelligence (BI) tools to aggregate data and provide a comprehensive clinical picture of each patient. PHM systems also support the healthcare landscape in its transition from a volume-based care to a value based structure. This offers multiple benefits to the patients, healthcare providers, and payers. To help CIOs find the best PHM solution provider for their enterprises, in the last few months, a distinguished panel comprising of CEOs, CIOs, VCs, analysts including Healthcare Tech Outlook editorial board reviewed the top companies in the Population Health Management space, and shortlisted the ones that are at the forefront of tackling industry challenges.